↑ "Story Medium"। উদ্ধৃতি টেমপ্লেট ইংরেজি প্যারামিটার ব্যবহার করেছে (link) Imagine Fashion. 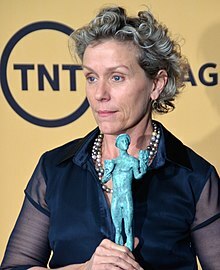 Interview with Frances McDormand (2011). ↑ Ben Brantley (2002). "Theater Review: "Racine's Pale Queen, Struggling With Racket Sports." "New York Times." February 19, 2002.